The Navy accepts the Gulfstream G550 with structural modifications on July 30. 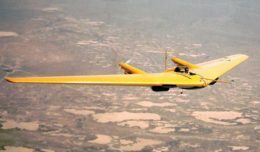 The aircraft is unique to the Navy and after further modifications will replace the aging range support aircraft in Point Mugu, Calif. The Tactical Airlift Program Office Commercial Modifications and Range Support Team accepted delivery of their newest commercial-derivative aircraft platform July 30. The Gulfstream G550, with structural modifications, was further modified to house specialized telemetry equipment, unique to the Navy’s application. The G550 is slated to serve as the replacement for one of the aging P-3 range support aircraft operated out of NAWCWD in Point Mugu, Calif. 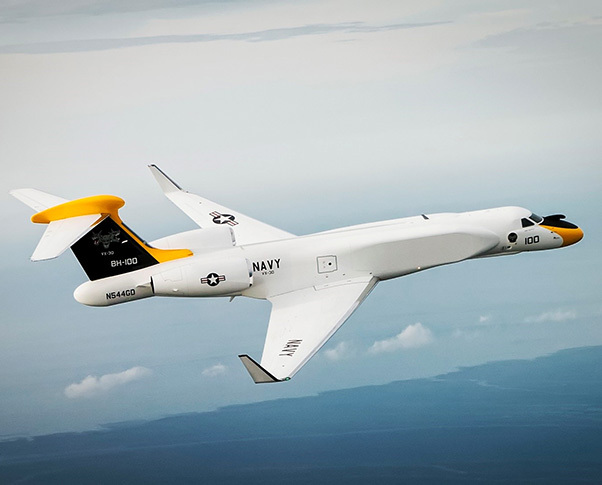 The aircraft’s AEW structural modifications allow room for installation of a telemetry system and additional equipment to support future missions. During a ribbon cutting ceremony attended by Gulfstream executives and PMA-207 leadership, Program Manager Capt. Steven Nassau spoke to the complexity of this acquisition. PMA-207 CMARS Integrated Program Team Lead Chris Mullaney said credit should not only be given to those currently working on this project, but to those who have in the past as well. “One of the original leads for this project was Jaimie Grubb. She, along with her Range Support Aircraft Team, had impressive foresight and solid planning at the beginning of this endeavor that paved the way for the successes we are seeing here today – delivery of a high-quality product on cost and on schedule,” said Mullaney. From here, the Phase II Integrator, Raytheon, will receive the G550 aircraft as Government furnished property and will develop, procure and integrate systems that will give the aircraft a multi-role capability in telemetry data collection, range safety and surveillance and communications relay. This modern, phased-array telemetry system will have the capability to support major programs in complex, robust and dynamic test environments for many years. The aircraft is projected to be delivered for initial operating capability by August 2021.